There's Still Time to Enter the 2010 ARRL Photo Contest! Bill Cross, W3TN, a staff member in the FCC's Mobility Division -- part of the Wireless Telecommunications Bureau -- spoke at the FCC Forum on Saturday morning at the 2010 Dayton HamventionÂ®. Billed by the Hamvention's Forum Committee as more of an emergency communications discussion, Cross discussed this and other matters -- such as FCC proceedings regarding vanity and club call signs, 60 meters and power limits for spread-spectrum users, -- as well as the FCC's National Broadband Plan (NBP). The FCC's Mobility Division handles the day-to-day administration of the Amateur Service, along with some of the rulemaking activities that affect Amateur Radio. The Division has staff members in Washington, DC and Gettysburg, Pennsylvania. The Gettysburg staff deals with most of the Amateur Radio applications and licensing matters, as well as the Universal Licensing System (ULS). Read more here. 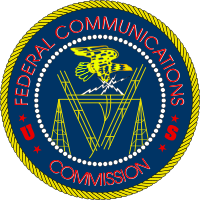 Lonnie L. Keeney, KB9RFO, of Greencastle, Indiana, filed a Petition for Reconsideration in March 2010, asking that the FCC re-evaluate the revocation of his Amateur Radio license. Keeney -- who in 2002 was convicted of child molestation, a Class C felony -- was found by the FCC in February 2010 to be "lack[ing] the requisite character qualifications to be and remain a Commission licensee." Keeney appealed the decision, and on May 24, the FCC denied his Petition via an Order on Reconsideration, affirming the revocation of his Amateur Radio license. Read more here. After a hiatus of nearly four months, the ARRL Audio News is scheduled to return this week on Thursday, May 27. With the advent of the new ARRL Web site, we have had to make some changes in the way the Audio News is presented. For the time being, it will only be available as one mp3 file. Beginning this week, you can find the ARRL Audio News here most Thursdays on the ARRL Web site. The Question Pool Committee (QPC) of the National Conference of Volunteer Examiner Coordinators (NCVEC) announced the withdrawal of two questions from the Technician class pool and two questions from the Extra class pool. Volunteer Examiner Coordinators (VECs) and Volunteer Examiners (VEs) must take action to remove these questions from use by July 1, 2010. Due to a rules change and pending action by the FCC, questions T2C02 and T2C03 from the July 2010 Technician Pool and questions E1C04 and E1C05 from the July 2008 Extra Pool may not be used in examinations after June 30. Read more here. Last month, New Zealand's Radio Spectrum Management (RSM) -- that country's equivalent of the FCC -- charged and fined Alan Potter, ZL3II, of Christchurch, for transmitting outside the terms and conditions of the General User Radio License for Amateur Radio Operators. Potter was charged in the Christchurch District Court on April 14 and found guilty of breaching Section 113 of the Radiocommunications Act 1989. Section 113 deals with those who "commit an offence under this Act who transmit radio waves." Potter was found in possession of radio transmitting equipment that was capable of operating at a significantly higher power than the Amateur Radio Operators General License allows. He was fined $1750 ($1164 USD) and $130 ($86 USD) for costs. Potter was also required to forfeit his radio equipment. Section 114 of the Radiocommunications Act of 1989 references Section 113 and presumes that "any person who erects, constructs, establishes, maintains, or is in possession of any radio transmitter is presumed to have used the radio transmitter." According to news reports, RSM was alerted to a video that Potter posted on YouTube (the video has since been removed), showing showed his transmitter operating at 3100 W. Operating at such high transmitting power is likely to cause interference to, and disruption of, a range of other licensed radio services in the local area. New Zealand amateurs are restricted to no more than 500 W PEP. Read more here. 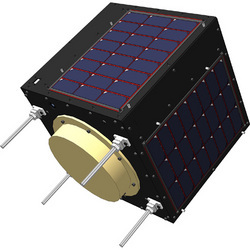 An artist's rendition of the UNITEC-1 CubeSat. An informal network of ham radio experimenters, scientists and CW enthusiasts called FlyVenusCom -- a nonprofit, cross-cultural effort -- has been created to support communication efforts by Japanese scientists with its CubeSat Venus probe, UNITEC-1. This CubeSat was developed by 20 universities of the University Space Engineering Consortium (UNISEC), the Japanese community developing nano-satellites. The Japanese UNITEC-1 team has called for ham radio assistance worldwide in improving and testing two areas of the CubeSat's mission. What makes this mission of particular interest to amateurs is the fact that the UNITEC engineers have added a 5 GHz Amateur Radio beacon to the spacecraft and they are encouraging hams to attempt to receive it. On May 21, Japanese ground stations reported receiving the CW and FSK beacons (call sign JQ1ZUN) at a distance of about 30,000 km. They measured the beacon frequency at 5839.91 MHz. Even though the latest reports say that the signal has been lost, the UNITEC team is trying to re-establish contact with the satellite. Read more here. Just as many vendors release new products at the Dayton Hamvention, the ARRL will debut much-anticipated publications. This year was no exception. 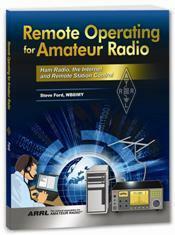 Two new books -- Remote Operating for Amateur Radio and the third edition of The ARRL RFI Book -- were introduced. Remote Operating for Amateur Radio shows amateurs how to assemble their own Internet-controlled stations. As many hams are discovering, it has become increasingly difficult to enjoy Amateur Radio at home. Some have been driven off the air altogether by antenna restrictions, local interference and other limiting factors. But the widespread availability of high-speed Internet offers a powerful solution: Amateurs can now setup a complete station at a remote location and operate via the Internet, just as though they are actually sitting in front of the radio. That radio could be just across town or 2000 miles away. 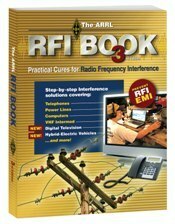 ARRL's team of experts has compiled the best advice available on every type of radio frequency interference (RFI) in this brand new edition of The ARRL RFI Book. From automotive to television, from computers to DVD players, from audio equipment to telephones, amateurs will find a step-by-step process for eliminating problematic interference in one convenient book. The third edition of The ARRL RFI Book also includes resources for addressing new realities of digital cable TV and satellite systems, over-the-air TV signals and troubleshooting, as well as hybrid and all-electric automobiles. For more information on these two new exciting publications, including how to get your own copy, click here. Many hams have long complained about difficulties they have encountered when purchasing International Reply Coupons (IRCs) from their local post offices. Now the US Postal Service (USPS) has made it easier to get those IRCs to send with your direct QSL cards -- order them online from the USPS Web site. The USPS ships all in-stock domestic orders for stamps and retail items within 1 business day via Priority Mail with Delivery Confirmation or First Class Mail. Shipments should arrive within 3-5 business days. All stamp orders are charged a $1 handling fee, regardless of the order amount. IRCs purchased from the USPS, whether online or in person at a post office, cost $2.10 each. Read more here. Hams who will be attending the FIFA World Cup in South Africa this summer will be able to attach a special prefix to their call signs. 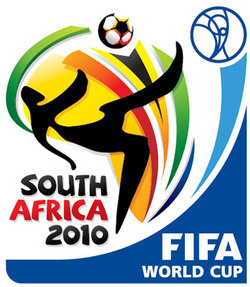 Through an agreement between the South African Radio League (SARL) and the Independent Communications Authority of South Africa, those radio amateurs who will be attending the FIFA World Cup in South Africa may use a special ZS call sign during the event. SARL is South Africa's IARU Member-Society. After registering with SARL prior to arrival in South Africa, hams may attach ZS10 to the front of their own call sign (i.e. ZS10/K1SFA) from June 11-July 11. Hams interested in obtaining permission to use ZS10/ must complete the form and e-mail it to SARL, along with a copy of their passport page showing the ham's photograph and a copy of their current Amateur Radio license. Hams will need to keep a both a copy of the form and their license while in South Africa. In anticipation of the World Cup, SARL and its affiliated clubs have been using a special event call sign -- ZS10WCS -- since September 2009. SARL will provide a commemorative QSL card for those amateurs who work ZS10WCS. Direct QSLs must include a self-addressed envelope and one IRC or US $1. Amateurs may also QSL via e-mail, but those hams sending an e-mail QSL will only receive an e-mail QSL in return, and not the commemorative printed QSL card. Have you ever wanted to see a photo of yours in QST, the annual ARRL Amateur Radio Calendar or another ARRL publication? Well, here's your chance! If you're among the winners, not only will your photographic skill be propagated far and wide, but we're offering $100 as the First Prize. The winning photo and three runners-up will be published in QST. All submitted photos will also be considered for the 2011 ARRL Calendar. Hurry -- the entry deadline is June 1! For more information, including rules and requirements, click here. How can you be the best-dressed ham at your Field Day site this year? When you wear the official 2010 ARRL Field Day shirt -- accompanied by the 2010 ARRL Field Day hat -- of course! Field Day -- Amateur Radio's largest on-the-air operating event -- is just a little more than five weeks away, so be sure to get your shirts, hats and pins, as well as the new ARRL Field Day Handbook for Radio Amateurs and coffee mugs before they run out. Field Day shirts are offered in sizes Small-4XL and are royal blue with the 2010 Field Day logo on the left chest; the back of the shirt says "Amateur Radio -- Goodwill â¢ Service â¢ Fun!" with www.arrl.org underneath. 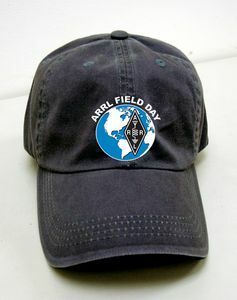 Fulfill all your Field Day apparel needs at the Field Day Supplies section of the ARRL Web site. 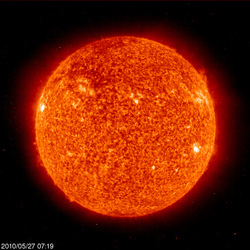 The Sun, as seen on Thursday, May 27, 2010 from NASA's SOHO Extreme Ultraviolet Imaging Telescope. This image was taken at 304 Angstrom; the bright material is at 60,000 to 80,000 Kelvin. Tad "So many journeys may the Sun and moon make us again count o'er, ere love be done" Cook, K7RA, reports: Sunspots returned this week in the form of group 1072; the average daily sunspot number for May 20-26 was 16.3, and the average daily solar flux rose nearly three points to 72.1. This was a very quiet week for geomagnetic indicators, with the mid-latitude A index at 0 on Sunday and Monday (May 23-24). The high latitude Alaska college A index was 0; the K index was also 0 over all of both days, actually extending from 1500 on May 22 through 0000 on May 25, a total of 57 hours. The quiet will probably end, due to a coronal mass ejection thrusting particles toward Earth. Australia's IPS Radio and Space Services issued a warning of a minor geomagnetic storm at 2346 on May 26. The prediction from NOAA/USAF calls for a planetary A index of 15, 22, 20, 22 and 12 from May 27 through the end of the month. In addition to sunspot group 1072 -- which is currently fading and a few days away from our Sun's western horizon -- a new spot appears to be forming just above the center of the solar disk. You can see it on the continuously updated (every few minutes) image from the STEREO spacecrafts. On Wednesday evening, it was right on the center 0 degree meridian, north of the solar equator. By this Friday night, the STEREO image should cover about 89.5 percent of the Sun's body. Look for more information on the ARRL Web site on Friday, May 28. For more information concerning radio propagation, visit the ARRL Technical Information Service Propagation page. This week's "Tad Cookism" brought to you by William Shakespeare's Hamlet (Act III, Scene 2). 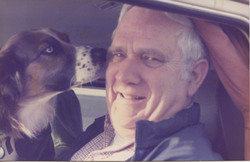 Bob Brown, NM7M, of Anacortes, Washington, passed away Sunday, May 23, from cardiac arrest. He was 87. Brown, the husband of former ARRL Northwestern Division Director Mary Lou Brown, NM7N (SK), was known worldwide for his contributions to the propagation studies on 160 meters. Brown wrote 12 articles for the ARRL from 1998-2001 that appeared in QST, QEX and NCJ, most of them -- such as this December 1999 QST article -- dealing with propagation and contesting on the low bands. He also authored an HF propagation tutorial that is available online. Brown was retired from the University of California where he was a physics professor at the Space Sciences Lab (SSL) in Berkeley; he also served as interim dean of UC's graduate school. A memorial service is planned in Anacortes for Wednesday, May 26. A private burial service is planned for a later date. This week, the CQWW WPX Contest (CW) is May 29-30. The Michigan QRP Memorial Day CW Sprint is May 30-31. Next week, the Ten-Ten International Open Season Contest and the Alabama QSO Party are June 5-6. The CWOps Mini-CWT Test is June 9-10. All dates, unless otherwise stated, are UTC. See the ARRL Contest Branch page, the ARRL Contest Update and the WA7BNM Contest Calendar for more info. Looking for a Special Event station? Be sure to check out the ARRL Special Event Station Web page.